Dee escapes her dreary librarian job and unfaithful boyfriend by reading romance and fantasy on her Kindle. She tries The Haunted E-book, the story of a 19th century tramp printer whose ghost awakens whenever someone reads a book he created. The ghost stalks his readers and threatens them with death if they stop reading the book. Though she doesn’t usually like ghost stories, Dee can’t stop herself from reading it. Then Dee learns the stories in the books are true, the malevolent ghost is real, and Dee might be the next character to die. My Thoughts: We all read to escape real life either to experience some fantastic adventure or just to spend some time in a place where everything is easy, rose or funny. Well The Haunted E-Book turns this escape into a nightmare. It starts off with the heroine, Dee snickering at the title: "It might as well be called The Evil Penguin or The Demonic Shoelace." But this short chuckle and humour couldn't mislead you more. The Haunted E-book is not for the faint hearted: it is no cozy mystery or spooky ghost story, oh no, beware; this is a gory, terrifying horror novel! "Eww!" Dee said. She tossed the Kindle on the floor. "That was disgusting! That’s why I don’t read those kinds of books." 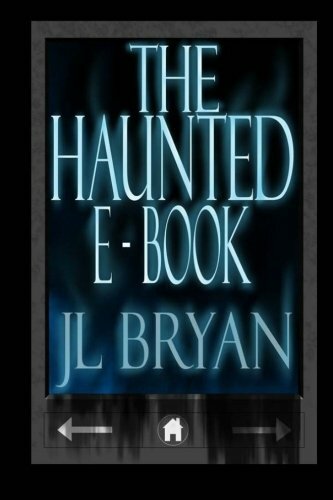 Dee could read any book now, but she stared at the digital cover of The Haunted E-Book. As much as she didn’t like horror, and even though the book wasn’t terribly well-written, she found herself worried about Madison. 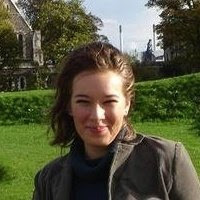 She’d gotten hooked into the story, like it or not, and that meant she would feel compelled to finish it - like it or not. The story is compelling: even though it gives you goosebumps and the torture parts may revolt you, you somehow feel like hypnotized to read on and discover what happens to the characters. You feel involved, concerned for their fate. At first you might find it daunting how a story is woven inside another story and fear to get lost between the different levels of the characters’ stories (Parker, Corinne, Madison, Elaine and Dee), but the scenes of the different characters will finally merge at the end to make the picture whole. Justin’s mouth was running fast now, talking to noone in particular. Ella Rae danced by the stereo. Justin stood up and ran his mouth in Ella Rae’s direction. Ella Rae grabbed his hand, danced against him, and then kissed him. It was five AM, and he didn’t need to be here for another hour but he was twitchy and restless. He was early. He didn’t need to be here for at least an hour, but the job provided structure. She fed more printouts into the scanner. […] As she skimmed down the search results, the crticial term popped out at her: “tramp printer”. She fed those two words back in to Google. Madison was alone on the seventh floor of the university library. She sat at her favourite table, by the windows. Outside the night was as dark as death. The full moon stared at her like a cold yellow eye, watching and waiting. "To write a book is to attain immortality, someone told me once. But he was wrong. You live again only when you are being read. For that moment, the reader brings some scrap of your soul back to life." "But what if there are no readers?" the man asked. "What happens when the last reader lays the book aside for the last time? Then you find this immortality is fragile indeed.Think of all the books that will never be read again, the last embers of the writer’s spirit dying to ash between crumbling pages." "A web of words when woven well," Jonah said, "Captures souls in a devil’s spell. The heart I hunt, the mind’s my prey, and you will believe all I say. Open my book, let me in, and I never shall leave you again." My personal favourite were Jonah’s poems, his sonnets were hauntingly beautiful, with the chill factor added by knowing what kind of person their author is. My prayer, my poem and my curse. "A story is so much more than the book that holds it. It is an eternal part of the soul that imbibes it." I only gave 2.5 stars to The Haunted E-Book because I don't like horror novels, but if you enjoy this genre, I'm sure you'll love it!